Occasionally you may want to delete all your text messages in your iPhone before transferred to new owner. It is not difficult to delete one by one but if you have hundreds of them, the best way to do it is by go to Settings -> General -> Reset, then choose Reset All Settings or Erase All Content and Settings that will clear all of them instantly. However, it may over delete those that you intend to keep for new owner such as wallpapers, apps and etc. If you intend to delete only text messages while keeping the rest, here are some steps that you can follow. First, you will need to download and install iBackupBot, or better known as iTunes Backup Manager previously. Then launch iTunes with your iPhone connected using USB sync cable to your PC. Right click on your iPhone name (if you have many of them) and choose Back Up from the menu. This will backup all your messages from your iPhone to PC so that you can edit them later. 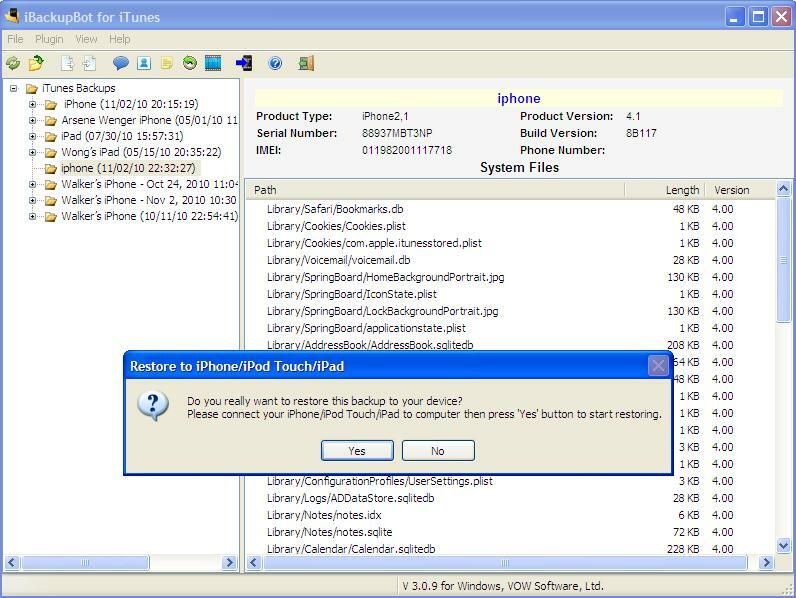 Launch iBackupBot now, choose the corresponding iPhone’s name as appeared on the left pane. Then go to menu -> Plugin -> Messages and you will notice a SMS Viewer window that displays all your SMS messages in tree view. From here, you can start selecting all of them (or any of them) followed by a Delete button press in the toolbar. Close the SMS Viewer window and go back to main menu and select File -> Restore, choose ‘Only restore modified files and click on OK button to confirm. Your iPhone will restart and when it is completed, you will notice that all the selected personal text messages will be deleted without leaving any trace. Hopefully these simple steps will help you clearing all your personal confidential text messages in bulk without manually deleting them one by one.